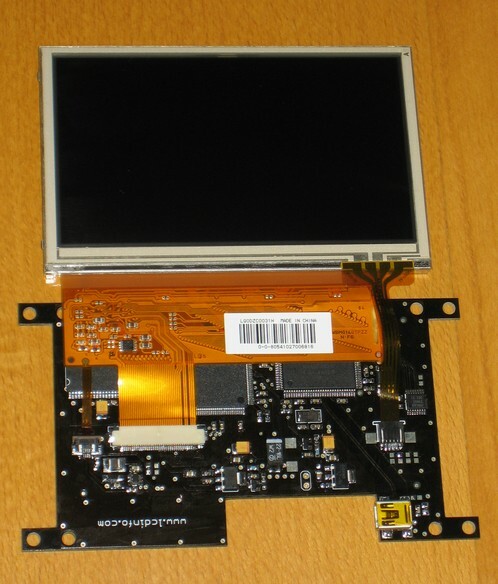 USBD480-LQ043 is a new USB display offering a 4.3" 480x272 pixel TFT LCD with USB interface. 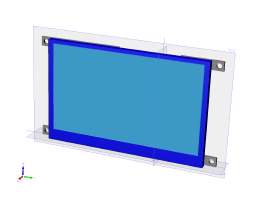 There is also touchscreen support built in on the controller board so optionally a touch panel can be added to allow using it also as a control device. Anyway, got any idea of the pricing? Final pricing haven't been determined yet. This will happen when the actual costs become more clear. There is a limited number of pre-release units available at this time. If interested in one of those it's best to email me and preferably also quickly mention how you would be planning to use it. The reason I'm asking about the planned use is to make life easier for both sides and figure out in advance if the device would be a good match to the needs in it's current state. There have been couple questions if this display can be used as a secondary monitor in Windows. For the best performance the display is meant to be used directly using the programming API but there exists a test driver that makes the display appear as a secondary monitor that can be used as a desktop extension in Windows. Currently USBD480 has been tested with Windows and Linux on x86 hardware. OS X should work too but haven't been tested. There will be also enough information available to get it running on embedded platforms if needed. Some wireless router with USB port and running Linux might be an interesting test platform. Linux on ARM hardware has also been tested with the USBD480 now. Hi, I would be interested in getting one if it was possible to change that USB input to either composite or component. Could that be done easily? Thanks. Adding analog input to the current design would take some work. But if there is demand for interface boards with analog input then a version with analog inputs could be considered also. Yes they can be helpful. 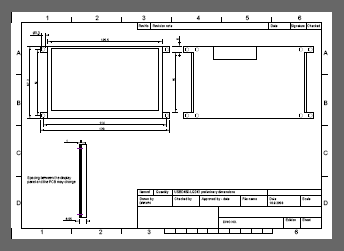 One thing to keep in mind is that the drawings don't yet include any of the components on the PCB. Tallest component is the mini USB connector which is less than 5 mm tall. Of course some room needs to be left for the actual USB cable too. But in general if 5 mm room is left for components on top the PCB there shouldn't be problems. 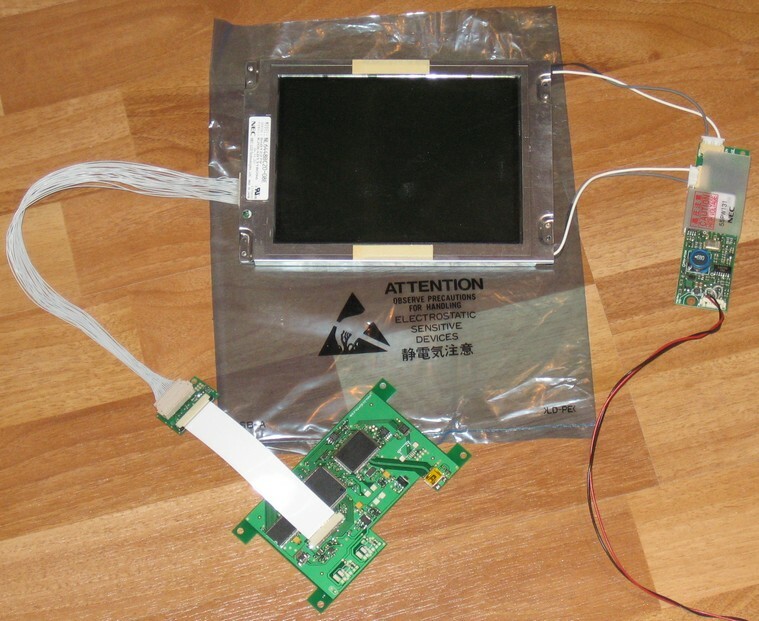 The TFT panel used is a NEC NL6448BC20-08E that just happened to be available for testing at the time and it is connected to the USBD480-LQ043 controller board with a simple adapter to match the connections.